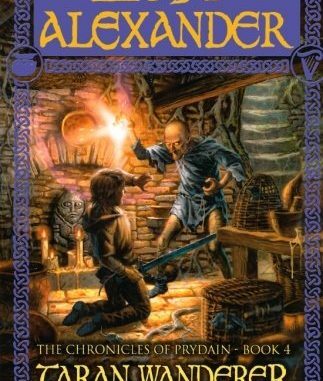 This is my fourth installment as I reread and review Lloyd Alexander’s ‘Prydain Chronicles,’ a series of five high fantasy novels written in the 1960’s. ‘Taran Wanderer’ is the fourth book of the series and while there is an overarching storyline thoughout, the third and fourth books are a little off the path of the main arc. Where ‘Castle of Llyr’ is a sort of side-quest in the series, TW takes a look at the story through a microscope. That is, we really magnify and focus in on Taran the assistant pig-keeper as a character and more specifically as a young man. 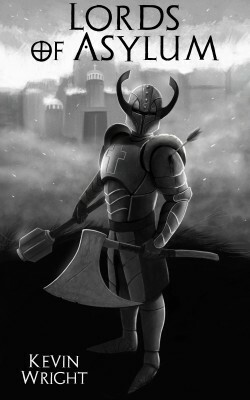 One of the main themes of the Prydain Chronicles, in my opinion, is ‘what makes a good man?’ We see fully formed adult, good men in the form of Coll and Dalben and Gwydion, the three main influences in Taran’s life. Each of the three is intelligent, wise, and formidable. What we also see from the very start of the series, ‘The Book of Three,’ is an impatient, headstrong kid who does things based on what he thinks a storybook hero should do. As we move through the books, we see glimpses of Taran making progress, getting wiser, humbler, more patient. Having more regard for what is truly important in life. In TW, Taran, on the cusp of manhood, takes a final step forward. He knows he loves Eilonwy. He knows he wants to marry her. He also knows that she is a princess and he is an assistant pig-keeper of unknown parentage. He hopes he is more. And so he goes off in search of his parentage in the hopes that he will be proven worthy enough to marry his love. What follows is a series of short episodic adventures as Taran crosses the land of Prydain in search of the Mirror of Llunet, a magic mirror that a trio of witches claim will ‘show him something of interest’ with regards to his ancestry. I won’t spoil what happens. I’ll only say that Taran’s adventures are as exciting as ever if a little shorter individually and with some, more internal. More personal. But the stakes are as high as ever. Lives are on the line. Kingdoms. Livelihoods. Self-fulfillment. Everything that makes a great story, and as always, Alexander writes clearly, concisely, beautifully. There aren’t many books that make your heart both pound and ache. The Chronicles of Prydain achieve these effects more often than any others I’ve read, and Taran Wanderer is no exception.